It is a post-apocalyptic world. Aussie rules posts stand in oddly familiar Sydney parks, rugby league posts rise in Melbourne, carcasses of rugby union franchises like the Western Force and Tokyo Sunwolves are gorged on by a rabid, carnivorous future. Once proud cricket states are pillaged and picked at by fireworks, millionaire’s chequebooks and ever-fading attention spans. The A-League, one of the brightest of new stars in our sporting landscape only a few years ago has wilted to nothing more than a shredded newspaper headline floating in the scorched air. This is the sporting world we live in. While it shrinks, the brave trudge on. The conversation right now is NRL expansion. Do we flex our muscle or fight for another day? Relocate Sydney clubs or send the canary down the mine? The reality is, rugby league can’t take from Sydney. Whether you like it or not, it’s the cradle of the Australian game. The city itself has a population of New Zealand, Scotland or Ireland. 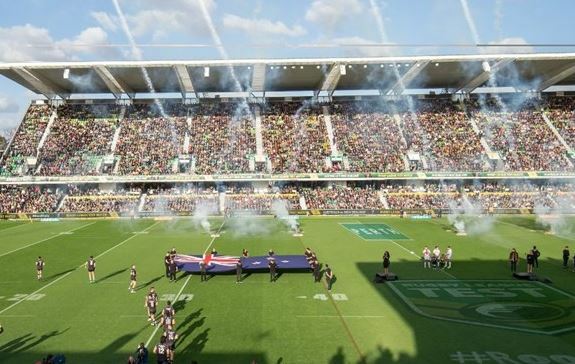 It is a gigantic mass of people and most are rugby league supporters. Furthermore, any comparison to Melbourne’s similar AFL problem is improper. In Melbourne, AFL clubs live on top of each other. They play at one of two grounds – all year round. It is nothing like Sydney. Using public transport, it’s more than two hours to get from Brookvale to Campbelltown. Just as long from Cronulla to Penrith. Anyone starting their argument about relocation for clubs in Sydney and using AFL in Melbourne as an example should be taken with a grain of salt. ‘Market share’ is used a lot in the cutthroat world of professional sport these days. When the GWS Giants came to Blacktown or Homebush or Canberra or wherever they’re from, they spoke about getting their ‘market share’ of the city. Rugby league dominates Sydney because it has so many clubs. Why would you weaken it and give an inch? We need to fortify Rome – not open its doors. So why, with Rome basking in mammoth television ratings, growing memberships, improving crowd numbers, billion dollar TV deals, are we petrified to come out of our hole? The answer is ‘market share’. If we learn one thing from the AFL’s arrogant “invasion” of Sydney, it is ‘market share’. We don’t need every single West Coast and Fremantle supporter to drop their flags and waltz into NIB Stadium for the West Coast Pirates opening game. It’s about our market share. We don’t insist on ourselves like others. The game’s target, if it is to reignite the ghosts of the Western Reds, is to embrace the expats, intrigued neutrals and pissed off rugby union fans. That’s initially, anyway. With them, however, they bring their children. The fresh eyes. And with those fresh eyes and welcome arms, they will embrace the pirate. You can already see NIB Stadium on a bright, Perth Sunday afternoon. Jumping castles, eye-patches, energy in the air. We don’t need fifty thousand people at every game. All we want is the warm embrace of the community. The same kind of tribalism, us-against-them mentality that has made the Melbourne Storm such an irresistible force. Rugby league is an amazing game. But how would the people of Western Australia know or remember it if they don’t get their own team?